Using ultrasound technology to visualize the tongue’s shape and movement can help children with difficulty pronouncing “r” sounds, according to a small study by NYU’s Steinhardt School of Culture, Education, and Human Development and Montclair State University. The “r” sound is one of the most frequent speech errors, and can be challenging to correct. For other sounds — such as “t” or “p” — speech pathologists can give clear verbal, visual or tactile cues to help children understand how the sound is created. “R” is difficult to show or describe in an easy-to-understand fashion. In addition, most speech sounds are produced in the same way, but with “r,” normal speakers use widely different tongue shapes to create the sound. The two primary strategies to create the “r” sound include a retroflex tongue shape, where the tongue tip is pointed up, and the bunched tongue shape, where the tongue tip is pointed down and body of tongue bunches up toward the top of the mouth. 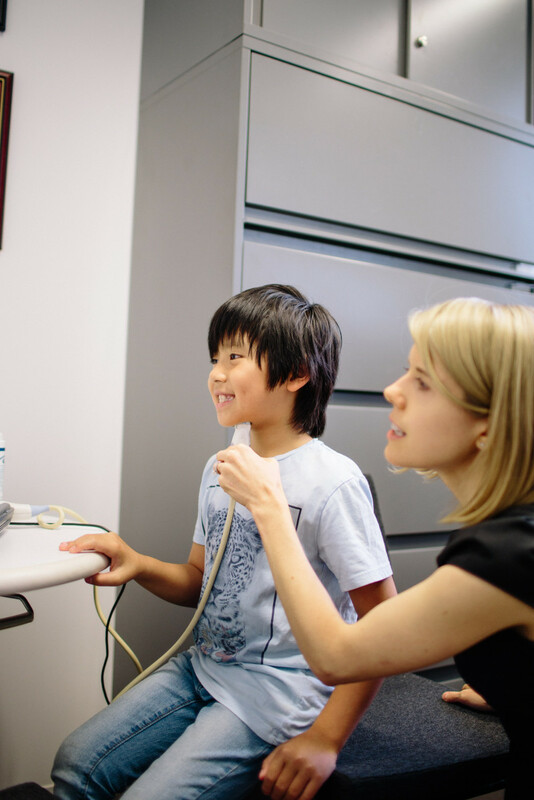 “Our second study offers evidence that when flexibility is given to choose a tongue shape, rather than a one-size-fits all approach, ultrasound biofeedback treatment can be a highly effective intervention for children with trouble pronouncing ‘r’ sounds,” Byun says. The researchers noted that the two studies were not a controlled comparison, thus additional systematic research is needed before drawing strong conclusions about the importance of individualized tongue shapes.